Possibly following what is regarded as a tradition in some cultures, it is believed that the youngest family member and son, Robert jnr, stayed at home with his aging parents until each had passed on to a better life. It was probable that even though he was married and already had his first child, a daughter, Robert jnr may have been required to vacate their last family home after the passing of his mother Isabella at Philpstoun Gate in 1819. 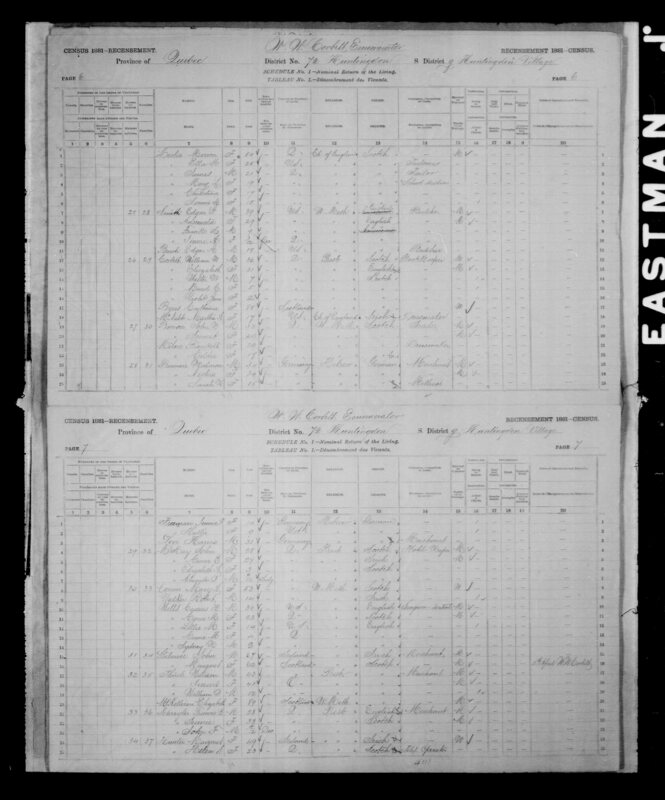 Their only known daughter, named Isabella, was born in March 1818 at Abercorn. 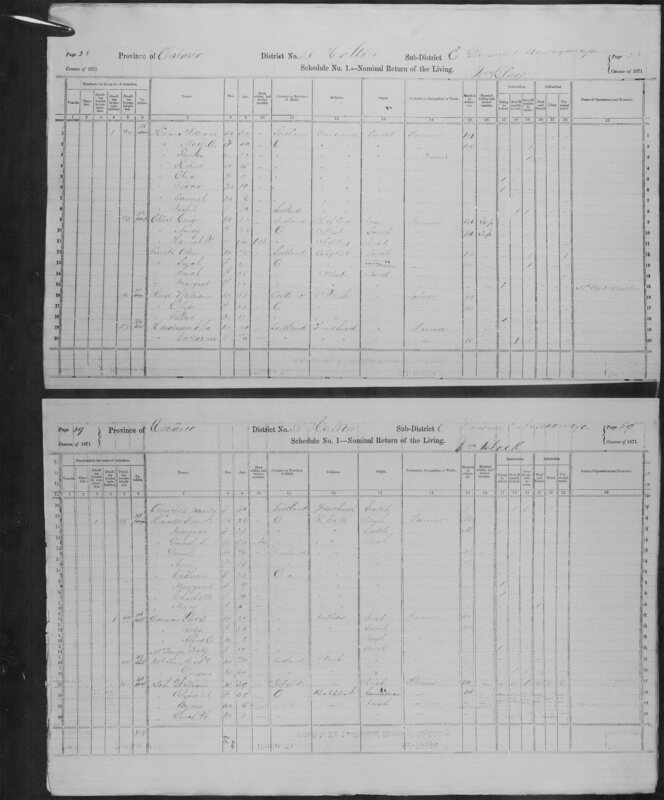 After the birth of their daughter in 1818, Robert jnr and Catherine disappear from the Scottish records, and after extensive searching, were found to have immigrated to Quebec in Canada, possibly sometime during the period from mid 1818 to early 1821. No shipping details or passenger lists have been found to confirm this as yet. Robert jnr and Catherine then next appear in the records when they have a son baptised at St Gabriel's Church in Montreal, Quebec, Canada. 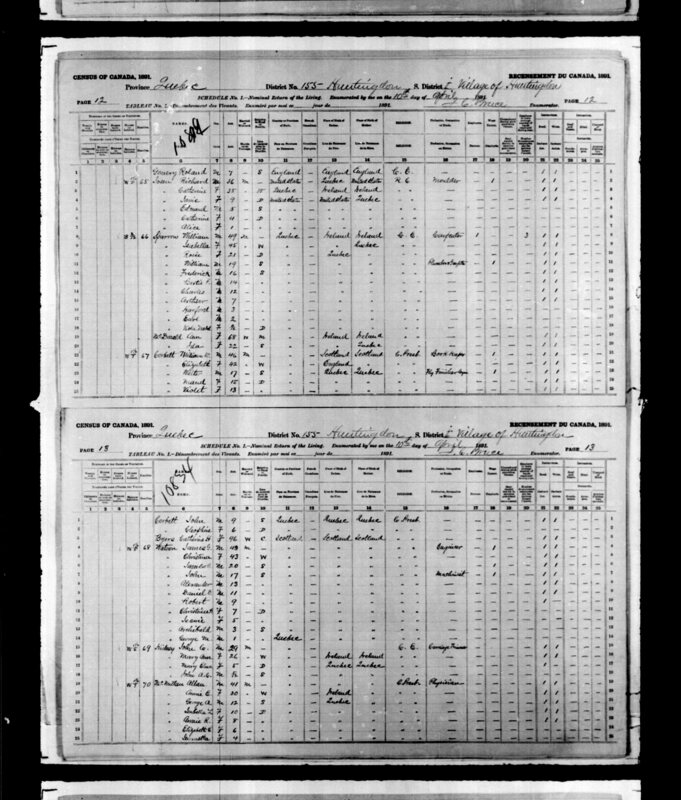 Robert Byers of the Cascades, Shoemaker and Catherine Henderson his wife had a son born on the fifteenth day of May last and baptised this twenty eight day of August one thousand eight hundred and twenty one named John in the presence of these Witnefses. It is not until 1826 that they then re-appear, again at St Gabriel's Church in Montreal, but this time for the funeral and burial of a son named James, possibly aged four or five years old. 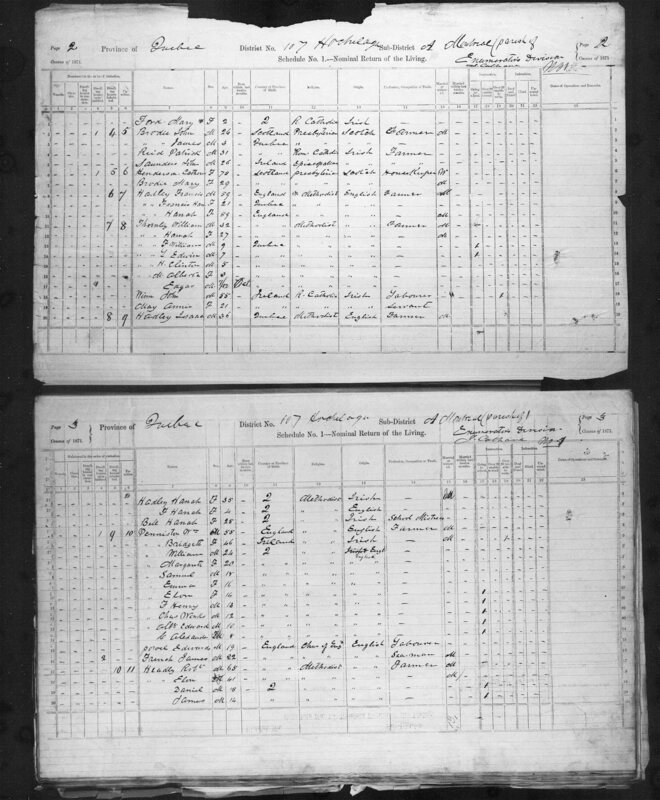 Robert Byers of Montreal, Shoemaker & Catherine Henderson his wife had a son named James died on the twentieth day of September & buried on twenty ninth day of same month one thousand eight hundred & twenty six, aged four (?) years. Only a short time later, in June of the same year, Robert sells Lot # 79, in the village of Huntingdon, with 2 storey wooden house, to Joshua S. Lewis, of Malone, NY, USA, for $250. It is quite probable that as a carpenter, Robert built the house which stood on this block of land. Just under a year later, Robert sells the East half of Lot # 26, Range # 4, Godmanchester township, to William Henderson, possibly his brother-in-law (Catherine's younger brother) for ₤175; about 100 acres, complete with a large stone house, orchard and other buildings, with the money to be paid in instalments at 6% interest. 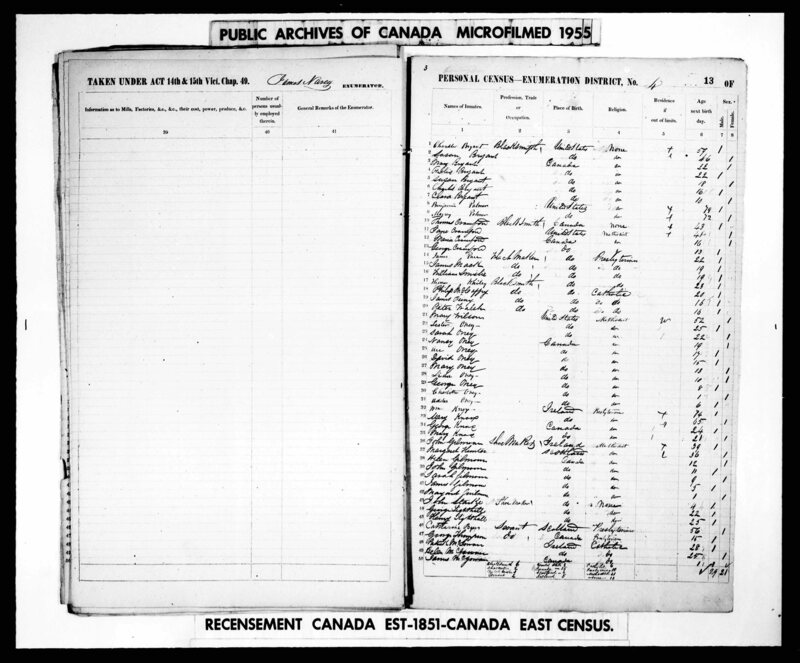 Neither Robert or Catherine appear in the Canadian Census for the year of 1861. Catherine's younger brother William Henderson, dies in 1875. In July of 1877, Catherine, still living in Huntingdon Village, loans the Trustees of St Andrew's Church (Huntingdon) a sum of money. The Trustees of the church provide security for the loan. Later, in November of that same year, Catherine formalises an agreement with William Walter Corbett, that in exchange for providing the basic necessities for her daily life for as long as she survives, she will sign over all her possessions. With no known surviving children, and with Catherine effectively "willing" all her possessions to William Walter Corbett upon her death, sadly it would seem, there would appear to be no surviving direct descendants of Robert Byres jnr and his wife, Catherine Henderson.